[OCT. 23, 2001] Susan, a 51-year-old area woman, used to look forward to her visits to Virginia Beach to see her mother, Lou. They would comb the sandy beaches, looking for additions to Lou’s shell collection and take road trips to Texas or Rhode Island. "We did a lot of traveling. We would just get in the car and go. One year, we rented a motor home, which is something I always wanted to do, and we went to Florida. We had a blast just being together and enjoying each other’s company. I was looking forward to retiring — we had lots of plans to travel," she said. In the past two years, both women’s lives have changed dramatically. There are no future travel plans, and even a trip to the grocery store or a simple conversation can be a difficult experience. "Sometimes my mother doesn’t even know who I am, and it’s only going to get worse," Susan said. Susan’s mother was diagnosed with Alzheimer’s disease, a progressive, degenerative disease of the brain, which results in impaired memory, thinking and behavior. The disease, which affects four million people nationwide, is the fourth leading cause of death in adults. Although there were warning signs for the past decade, it was only a few years ago that the situation required prompt action. Susan, (who requested that her last name not be used), moved her mother back to central Illinois and became her primary caregiver while maintaining a full-time job. She is in the process of selling her own home so she can move into a house with her mother. Although Susan has two married brothers who live out of state, she made the decision to take care of her mother. "Fortunately for me, I’m the only daughter and don’t have a spouse and kids. But even if I had a family, I’m the one that’s closest to her, and I can relate to her," she said. "My life has totally unraveled. But I’m willing to do this. She’s my mom, and you want to provide and protect (your mom)," she said. Despite good intentions, the burdens of caring for a loved one with the disease can be overwhelming. "You have to have a sense of humor or you’ll cry. I cry a lot and get angry a lot. I would recommend (to others) to find a support group and learn what you can and can’t do. My job is not to make her happy; my job is to protect and provide for her. At times I get angry at her and the disease. You need to get counseling and deal with feelings of anger and guilt and realize you can only do so much," she said. "In the patient’s mind, the bad guy is the caregiver. My mom gets upset with me, because she thinks I’m the one who won’t let her go back home to Virginia or spend money. You have to accept that. I will look back on this and know I did the best I could." Experts predict that by the year 2050, as many as14 million in the United Sates will have the disease. While people of all ages can suffer from the disease, research shows that the older a person gets, the higher the risk is of getting the disease. When German physician Alois Alzheimer first described the disease in 1907, it was rare. Today, Alzheimer’s disease is the most common cause of dementia, affecting 10 percent of people over the age of 65 and nearly half of people aged 85 and older. However, because of improved testing and greater public awareness, physicians are seeing an increase in diagnosed patients in their 40s and 50s. Alzheimer’s disease strikes both men and women and all races and socioeconomic groups. In Illinois 540,000 people are affected by Alzheimer’s disease. Before the disease, Susan’s 72-year-old mother was an immaculate housekeeper who loved to sew, crochet, travel, read and collect shells. "She has four bookcases full of books. She loved to read. Now, she can read one newspaper all week long. Seeing her die emotionally and physically is sad. She writes me little notes, and her spelling is atrocious. She was always able to express herself well. Now, we have no meaningful conversations. We talk about things in the past. In five minutes, she can repeat the same story four times," she said. Now, it’s the little things they have found they can do together that eases some of the pain of the situation, liking taking their dogs for a walk in the park or going out for a milkshake — two of her mother’s favorite things. Susan said there are three things that are really difficult about her mother’s disease. "The dreams of the future are decimated. My mother says hurtful things because of paranoia. I have to step back and realize it’s the disease and not my mother talking, but it’s hard to not personalize it. Also, the randomness and unpredictability of the disease — one minute she’s there and the next she’s gone," she said. "Her reality and my reality are two different things. She can’t live in my reality, so I have to live in hers." Through a support group, Susan is learning not only how to deal with her mother’s disease, but also recognizing how to take care of herself and what her limitations are. "It’s surprising how comforting it is. You realize you’re not the only one, and you learn about ideas of how to handle situations. Just being able to talk about it helps. It’s a lifeline," she says of her support group. James Dearing, program manager at the Great Illinois Chapter of the Alzheimer’s Association, said loss of memory is the most frustrating aspect of the disease, for both the person with the disease and their family. "Forgetting names and memories they have shared is very troubling. It’s very frustrating for spouses and for the children when Mom and Dad forget who they are. And for the patient, forgetting and losing reality in their world is probably one of the most frustrating things," he said. "The disease disorients them to time and place. They may be living in 2001, but they feel like they are living in 1950 and looking for the house they grew up in, for example." *Problems with language — forgetting simple words or substituting inappropriate words. The association is the only national voluntary organization dedicated to conquering Alzheimer’s disease through research and providing information and support to people with the disease, their families and caregivers. Founded in 1980 by family caregivers, the association has more than 200 chapters nationwide and is the leading funding source for Alzheimer research after the federal government. The local chapter focuses on education programs, support groups and offering information to the public. Monthly meetings of a support group at the Oasis in Lincoln were canceled recently, but two support groups meet in Springfield: at the Hope Presbyterian Church, 2211 Wabash Ave., and at Westminster Presbyterian Church, located at Walnut and Edwards. More information can be obtained by calling 1 (800) 823-1734 for meeting times and dates. Workshops, seminars and conferences on Alzheimer's disease are also offered throughout the year. The programs, designed to increase knowledge of the disease, are appropriate for family and professional caregivers. Program topics include research developments, caring for the Alzheimer individual and coping strategies. Dearing said that during his 10 years working in the long-term care health field, he developed a passion for working with Alzheimer’s patients and their families to ensure they received a good quality of life. He advises people who are diagnosed with the disease and their family members to prepare for the future as soon as possible. "After the initial shock, people should find out as much as they can and know what to expect, including legal issues. They need to be proactive and need to be aware of their options later on in life. From diagnosis, this disease can last from two to 20 years," he said. Matters that should be addressed in the early stages of the disease are legal issues, such as power of attorney, a will and health care proxy; health care insurance; financial affairs, such as bank accounts, stock certificates and mutual funds; and future housing options. While it may seem premature to think about those issues in the early stages of the disease, Dearing said matters that require judgment and attention to detail is best done early, while the person with the disease is able to make decisions. Even though Alzheimer’s is an incurable illness, there are important interventions, including medical and behavioral treatments, that can treat some of its symptoms. This is especially true if the disease is diagnosed early. If a person suffers from several of the 10 warning signs, such as disorientation, poor judgment and changes in personality, they are advised to see a physician. Not everyone with Alzheimer’s disease has all of the warning signs, and not all signs have to occur for the disease to be present. Experts advise contacting a health care professional for an evaluation if you have concerns or show several of the warning signs. Most people with Alzheimer’s live about eight to 10 years after symptoms appear, but life expectancy varies widely. The three most common stages of the disease are mild, moderate and severe. The first, or mild stage, usually lasts two to four years. People in this phase may say the same thing over and over, get lost easily and undergo personality changes, among other symptoms. The moderate stage of the disease is often the one that last the longest, from two to 10 years. People in this phase may become more confused about recent events, believe things are real when they aren’t, require close supervision, pace, argue more often and have problems with simple daily activities. The final stage of the disease, which lasts from one to three years, requires constant care, 24 hours a day. Those in the final stage may not use or understand words, recognize family members or care for themselves. [OCT. 15, 2001] The Substance Abuse and Mental Health Services Administration’s most recent "National Household Survey on Drug Abuse" showed a dramatic increase in the first-time use of marijuana by youngsters ages 12 to 17. Although the rates are still well below the peak of 15 years ago, they have more than doubled since 1992. Because of this alarming trend in drug use, there is an urgent need to educate young people about the dangers associated with marijuana use. SAMHSA’s Center for Substance Abuse Prevention has joined forces with Logan-Mason Mental Health to respond to this alarming trend in drug use. Logan-Mason Mental Health is a local organization that is dedicated to prevention efforts. Alcohol, tobacco and other drug abuse prevention programs are accessible to every seventh- and eighth-grader in Logan County through Logan-Mason Mental Health’s prevention specialist. Through its efforts, the local organization is fighting to prevent a continued increase in marijuana use among the young people in Lincoln and Logan County. • Marijuana use increases risk of injury. Marijuana or hashish-related emergency room visits increased by 17 percent between 1994 and 1996, and increased 219 percent since 1990. • Marijuana is often used in combination with other illegal and dangerous drugs, such as PCP and crack cocaine, and its use increases the risk of involvement in other criminal activities. • In 1995, more than 120,000 people who entered drug treatment programs reported marijuana as their primary drug of abuse. • Marijuana use causes a loss of inhibitions, which can lead to behaviors that have lifelong negative consequences. "It is vital that we educate the young people in our community about the dangers of marijuana use," said Kristi Simpson, prevention specialist for Logan-Mason Mental Health. "Many teens and preteens think marijuana is cool — use is on the rise even for 12-year-olds. We must fight the glamorization of marijuana by arming our kids with the facts." Simpson goes into all the Logan County public schools presenting programs on life skills to seventh-graders and the truth about drugs to eighth-graders. To receive free, valuable information about marijuana and other illicit drugs, contact the National Clearinghouse for Alcohol and Drug Information, 1 (800) 729-6686 or TTY 1 (800) 487-4889, or visit http://www.health.org/reality. For more information about substance abuse prevention efforts in Lincoln and Logan County, call Kristi Simpson of Logan-Mason Mental Health at (217) 735-2272. [OCT. 5, 2001] Logan County Health Department will have flu and pneumonia immunizations available beginning Monday, Oct. 15. The flu and pneumonia shots will be available at the Health Department, 109 Third St., on a walk-in basis during normal business hours, 7:30 a.m. to 4:30 p.m. Monday through Friday, and on the Mobile Medical Van at regular scheduled times of operation. Both facilities are closed on Monday, Oct. 8, and Monday, Nov. 12. The cost for flu shots is $14, and pneumonia shots are $17. Medicare will pay for flu and pneumonia shots; clients must bring their Medicare card to the clinics with them. Medicaid will also pay for flu shots; clients must bring their Medicaid card with them. • People 65 years of age or older. • People with serious long-term health problems. • People with immune system problems. • Women who will be in second or third trimester of pregnancy during flu season. • Children receiving long-term aspirin therapy. 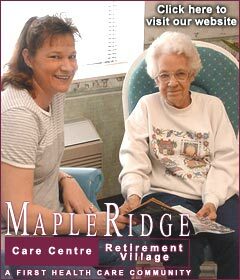 • Employees of nursing homes or other chronic care facilities. • Health-care workers or anyone coming in close contact with people at risk of serious influenza. Everyone else should wait until November for flu shots. October and November are the optimal months for receiving flu vaccination. Centers for Disease Control recommends, however, that vaccination continues into December, January and beyond — as long as vaccine is available. Flu clinics on Monday, Oct. 22, and Monday, Oct. 29, from 8 to 11:30 a.m. are recommended for women only, as Logan County Health Department will also offer free osteoporosis screenings and breast cancer awareness information, along with flu shots. Women over 50 years of age are encouraged to get the free bone density screening as well as educational materials. The bone density screenings will be done by radiology technicians at Abraham Lincoln Memorial Hospital. The screenings are funded by the Illinois Department of Public Health, Office of Women’s Health. No other Health Department services will be available during these times except WIC. For more information, contact Logan County Health Department at (217) 735-2317. Lincoln Elementary School District 27 will sponsor Red Cross blood drives at the Lincoln Sports Complex on Nov. 7 and 21. Hours on Nov. 7 will be noon until 5 p.m., and on Nov. 21 the hours will be noon until 6 p.m. Donors are encouraged to call (800) 728-3543, Ext. 441, to make an appointment. However, walk-ins are always welcome. In October, two people reached the one-gallon mark in their donations: Joyce Hyde and Glenn Shanle. 10 minutes that could save your life! [NOV. 2, 2001] Life Line Screening will be available at Friendship Manor in Lincoln on Thursday, Nov. 29. Life Line Screening is a mobile health screening service that screens for stroke, abdominal aortic aneurysm, peripheral arterial disease and osteoporosis (for women only). With the use of ultrasound and Doppler equipment, Life Line Screening can view the arteries. The first test views the carotid arteries, looking for plaque buildup, where 75 percent of strokes originate. A second test checks the aortic vessel in the abdomen for a breakdown in the lining of the vessel. This is known as an abdominal aortic aneurysm. A third test, an A.B.I., is performed to screen the lower extremities for plaque buildup, known as peripheral arterial disease. This disease is directly linked to coronary heart disease. The fourth test, for osteoporosis, screens for abnormal bone mass density in women over age 45. This disease is painless and silent in its early stages. Results are read by a board-certified physician and mailed within 10 business days. Screening fees are $40 for stroke-carotid, $40 for abdominal aortic aneurysm, $40 for peripheral vascular disease, or $99 for complete vascular screening, which includes the preceding three tests. Osteoporosis screening (for women only) is $35. The cost for all four tests is $125. Preregistration is required; call 1 (800) 407-4557. The screening is sponsored by OSF St. Joseph Medical Center. The mobile health unit does not operate on the following dates/holidays during 2001: Feb. 19 (President’s Day), April 13 (Good Friday), May 28 (Memorial Day), July 4 (Independence Day), Sept. 3 (Labor Day), Oct. 8 (Columbus Day), Nov. 12 (Veterans Day), Nov. 22-23 (Thanksgiving break), and Dec. 24 - Jan. 1, 2002 (Christmas break). For more information on the mobile health unit schedule and services, contact Dayle Eldredge at (217) 732-2161, Ext. 409. This family resource list to save and use is provided by the Healthy Communities Partnership (732-2161, Ext. 409) and the Healthy Families Task Force. LCHD - 109 Third St.
Sojourn Shelter & Service Inc.